Please choose this option if you are buying the book for yourself. This 34MB PDF is too large to email as an attachment – so, within 24 hours of your purchase, you will be emailed your own unique password to download the PDF from our password protected directory. Please see below for product description and more information on downloading the PDF. 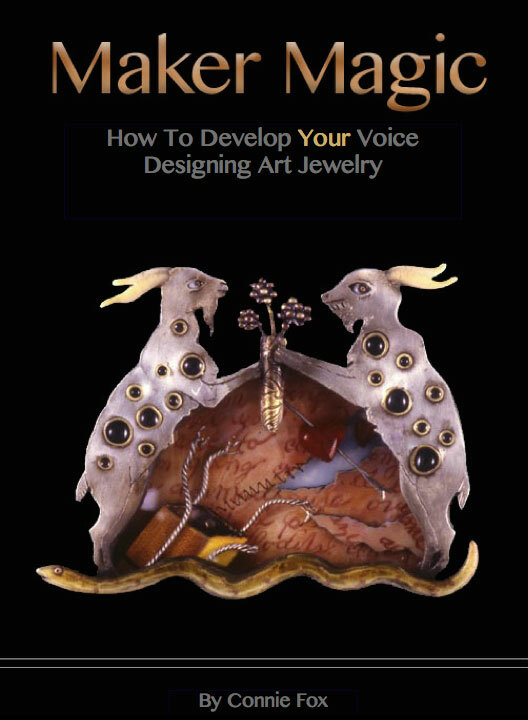 I have written the book for people who struggle to make jewelry a clear reflection of themselves. The book is practical and down to earth. But, it also contains images of some of the most beautiful art jewelry being made today. The book is 172 pages and lays out a method of designing your work which is flexible, yet clear. I do hope learning about design opens possibilities for your work you never thought possible.